we have spontaneously decided to go to Marrakesh. Checked for cheap plane tickets on line. 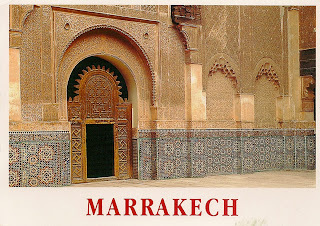 bought tickets at Royal Air Morocco for September. DONE! Can't wait! The only 'problem' is that I have sooo much to do the next few weeks... I have to give in my final project work for the Event Manager course that I am following at DEUTSCHE POP and that still finds itself in a non-material form. :) Then we have to also attend the wedding of some very dear friends and that assumes a trip to ROmania for a few days. AND I have to study for the final exam, right after that! :D phew!